Home · OKTOPUS User Guide. After installing the software and opening it, an activation window will appear. Type the 16 character product key into the box and click OK. Choose this option to activate on another computer or device with internet connection. This option can also be used if automatic activation failed due to being behind a proxy server. Call our UK office and quote the serial number over the phone. We’ll supply the activation code. We’re open from 9am to 5pm Monday to Friday. Creates an email with the default mail client to activations@qwizdomoktopus.com. A response from our UK support team with an activation code is normally sent within one working day. Please note: Premium Features and Lessons may not be available depending on your geographical location or your OKTOPUS software provider. When Oktopus is opened, the Oktopus toolbar appears on the left hand side. By default, Oktopus will start with a transparent background, called Glass Mode. Please Note: Glass Mode is not compatible with “Tablet Mode” in Windows 10. Glass Mode enables annotation and the use of other tools over the current display, whether it’s an application, a web browser, or simply the Desktop. 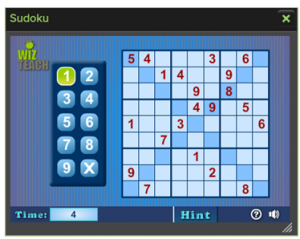 The Glass Mode layer also supports click-through, so there is no need to minimize Oktopus to work with other programs. Navigating to a new slide will take a screenshot of everything on the screen at that moment in time for future review. When a screenshot has been taken, the word “screenshot” with an “x” will appear at the top middle of the screen. To delete the screenshot, tap the “x”. Please note that once you delete a screenshot, you cannot get it back again. Simple Glass Mode enables the capture of a full screen or of a section of the screen. The left icon will capture the entire screen and set it as your background for the current slide. The right icon will allow you to drag to select an area of the screen. The area you selected will be imported as an image object into the current slide. When you navigate to a new slide, OKTOPUS will revert back to the default white screen or to your last-used background, depending on whether you have set “Remember Last Used Background” to yes or no under Settings > Preferences. The toolbar can be minimized by clicking or tapping the left arrows / minimise button. It will become greyed-out when the toolbar is in the minimized mode. The toolbar can also be maximized by clicking the right arrows / maximise button. This will initialise Aerial View. Aerial View gives the full range of tools available for selection at a glance. Click or tap a tool to open it. You can disable an entire toolset by clicking on the toolset title. Any toolsets which have been disabled will not show in the toolset list when the sidebar is in normal mode. This may be useful if you do not have any need for specific sets of tools. 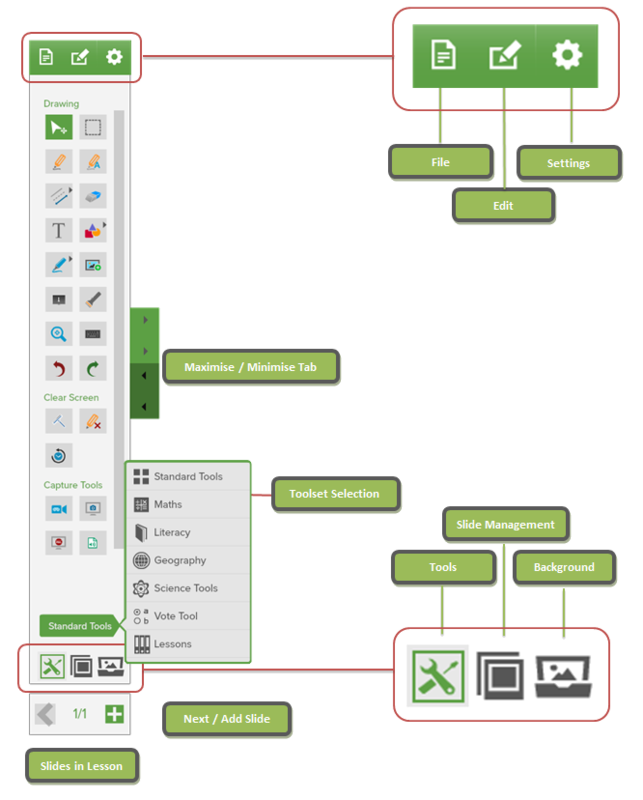 The Quick Tool Palette provides quick access to useful tools, and acts as a right-click context menu for editing commands such as cut, copy, paste, and delete. The palette can be moved around by clicking or pressing the centre button and dragging it to the desired location. Click or tap the centre button to toggle between a minimized and maximised state. To show the Quick Tool Palette at any location, right-click on any Oktopus object or directly on the slide background, if one has been applied. 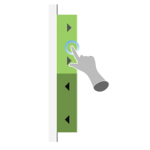 On a touchscreen device, a right-click command is normally initiated by a pressing and holding. The Quick Tool Palette will stay on the screen permanently in a minimized state unless it is dragged to the trash can. To show it again, choose Quick Tool Palette from the Settings menu. The Quick Tool Palette can be customized by dragging favourite, frequently used, or otherwise useful tools onto it. In the Tools section of the sidebar, tap and hold the tool for at least 1 second. Drag it near or onto the Quick Tool Palette. A “+” icon will appear. 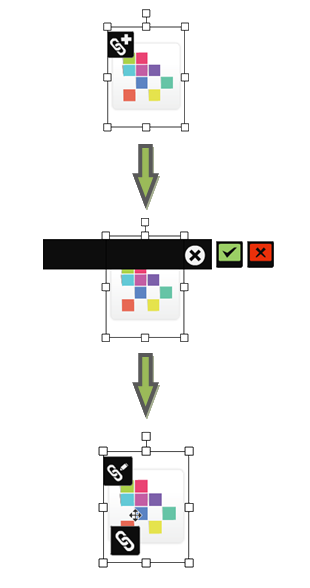 To remove a tool that was previously added to the Quick Tool Palette, press or click on the tool, and drag it to the Trash Can at the bottom right of the screen. When Oktopus is opened, the Sidebar will show the Standard Tools toolset by default. To change toolsets, click the current toolset title at the bottom of the Sidebar, and select from the list that appears. You can disable / enable toolsets by clicking the toolset title when in Aerial Mode (see Resize Tab and Aerial View). To start using a tool, tap or click it once to activate. 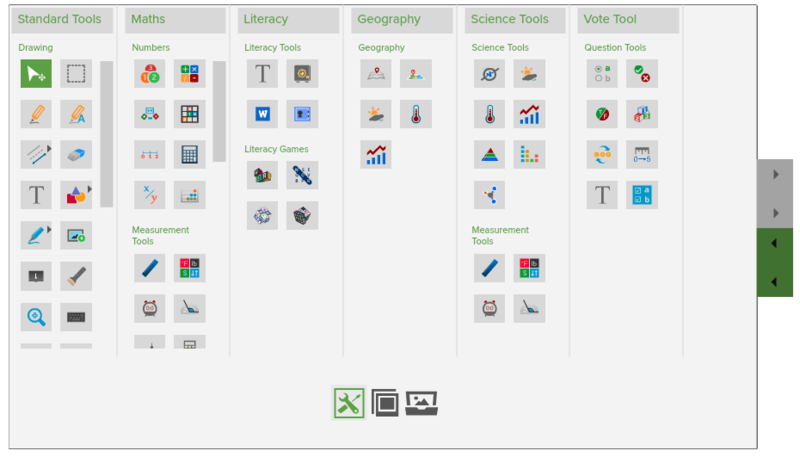 Some tools are available in multiple locations if they are relevant to more than one subject area. 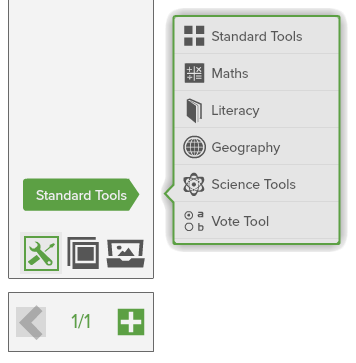 For example, the Measurement Tools found under the Math toolset are also located under the Science toolset. In addition, the Cursor Tool and Pen Tool from the Standard Tools are available all the top of the list for all subject toolsets. Hint: Consider adding frequently used tools to the Quick Tool Palette if toolsets are switched between often for specific tools. The Slide Management area will show the name and thumbnails of the current lesson. To change the name of the lesson, select the current name, and edit as required. To load a slide directly, click on the corresponding thumbnail. 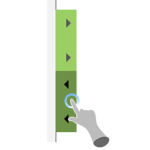 Slides can be re-ordered by pressing and holding a thumbnail for one second, and dragging to the required location. A glowing outline indicates that the slide is ready to be moved. A bar will appear to indicate where the slide will be inserted when released. The ability to navigate backwards and forwards through slides is available at the very bottom of the Sidebar. Tap < to navigate backwards, and > to navigate forwards. Once the final slide has been reached, the icon will change to a “+” icon, to add a new slide. By default, the Oktopus background is set to a transparent view called Glass Mode. To select a new background, select the Backgrounds tab, and choose a background from the list. The selected background will appear over the Desktop and any open applications. The selected background will be automatically applied for all new slides, until another background is chosen. Backgrounds of existing slides can be changed at any point. Navigate to the required slide, and select a new background. 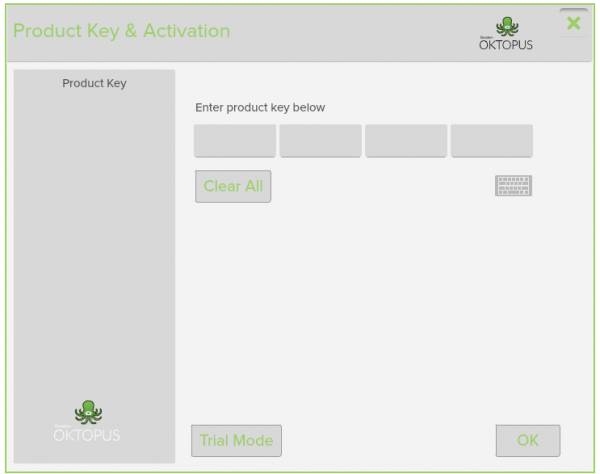 Configure various aspects of how OKTOPUS looks and works in the Preferences menu. To show the Preferences, click “Settings” and then click “Preferences”. Choose between a light or dark theme. Choose between monochrome or colourful icons throughout the software. Choose whether the toolbar, also knows as the sidebar, should be on the left or right of the screen. This will hide the cursor while OKTOPUS is the active application. It will prevent the mouse cursor and other drawing cursors from being shown. We do not recommend choosing “No” unless using a touch screen. OKTOPUS will remember the last-used background when closed and re-opened. Please note that some license keys supplied by OEM partners may not show this setting. Choose a value in seconds. If a value is selected, the toolbar/sidebar will automatically retract to a minimized form once a tool has been selected. If a touchscreen is detected by the software, the default should be “Yes”. Touch-friendly mode will show larger handles around images and other selected items. Touch to Type is a feature useful for lesson creation when using a mouse and keyboard. When “Yes” is selected, click on the canvas where you want to type, then start typing. The text will appear immediately starting at that location without having to create a text box. Select “Yes” if you wish to be prompted before the screen is cleared, otherwise select “No”. Keyboard shortcuts will work when OKTOPUS is the active application. 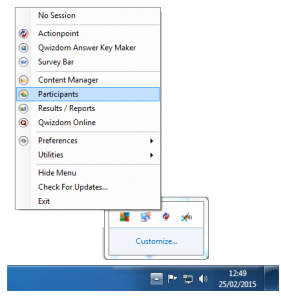 Select the cursor tool to enable a standard mouse pointer. 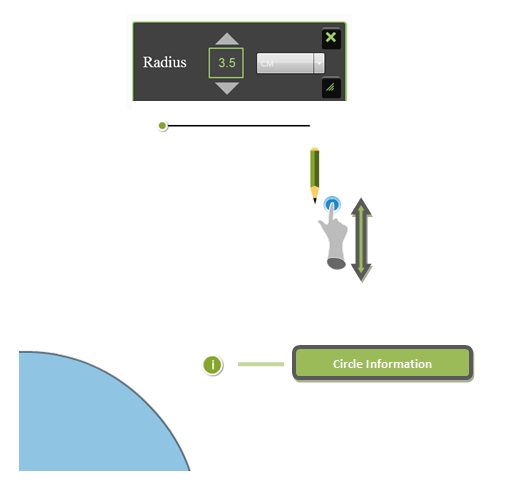 In this mode, the cursor can select and manipulate items on-screen. The cursor tool is available at the top of every toolset. If a background has been applied, activating the selection tool is not necessary to select items. Clicking / tapping and dragging the cursor tool will automatically draw a selection box around any items in its path. If Glass Mode is active, the cursor tool will interact with the desktop, therefore it is necessary to enable the selection tool to select multiple items. Below: Two individual objects have been selected by using the selection tool, which enables them to be moved or resized as one object. 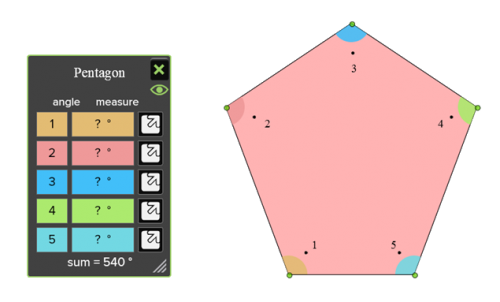 The pen tool can be used to annotate over Oktopus objects, backgrounds, and, when Glass Mode is active, even desktop applications. Below: Annotating over an image from the OKTOPUS gallery. See “Pen Tool”. Use the pen tool normally to write the desired word or sentence. When finished, tap or click the “enter” icon and it will convert into text. 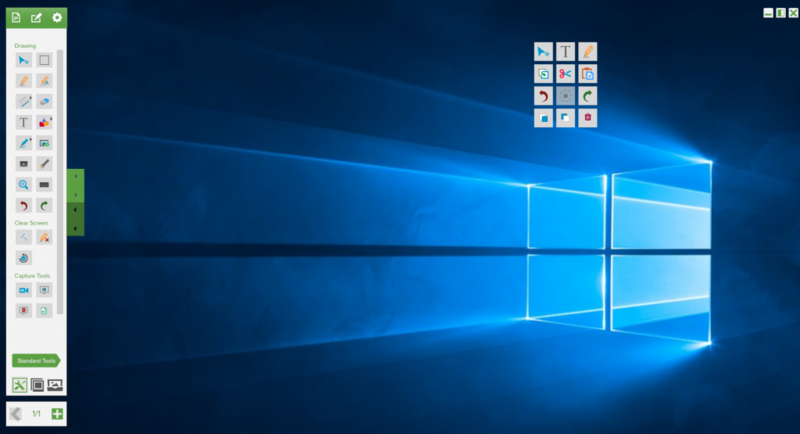 Oktopus uses the Microsoft in-built handwriting recognition facility and therefore will convert into the language configured within your Windows Operating System. For Windows 7 and above, refer to the Microsoft website for more information. 2. Click “Options” beside your system language. 3. Windows may inform you that a language pack is available to download. If so, download and install it. If not, then handwriting recognition is either already enabled, or not available for your language. 4. Restart OKTOPUS, and handwriting recognition should now work. There are three different types of line that can be drawn – dashed, arrow head, or solid. 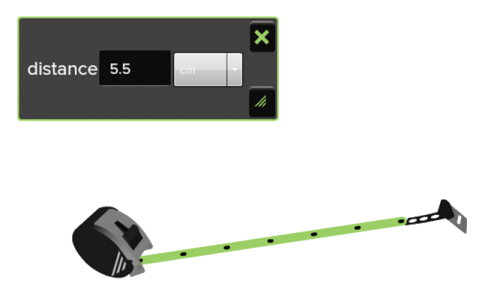 Select the line tool, and choose the type of line required. The tool will remember which line was previously used, and will enable it by default. For each line type, thickness, alpha, and colour can be customized. In addition, the dashed line supports custom dash length and dash spacing. Once a line type has been selected, it will be highlighted to indicate it is active. Click or press and drag to draw the line. 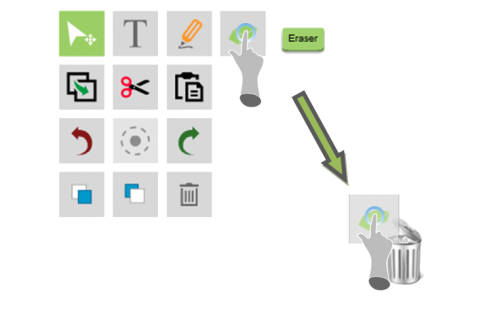 Use the eraser tool to delete screen objects including pen and highlighter annotations, lines, and shapes. The eraser can be resized using the properties box. 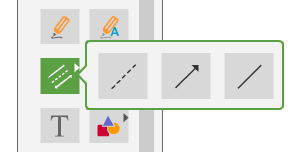 When the text tool icon is clicked in the sidebar or the Quick Tool Palette, the cursor will change to a crosshair. This indicates that a text box is ready to be created. Click or tap once for a text box to be automatically created with a default width and height, or hold and drag to create a custom width and height. The words “Start Typing…” will be generated. Start typing and the highlighted default content will disappear and will be replaced with your content. The dashed lines indicate that the textbox is in edit mode. 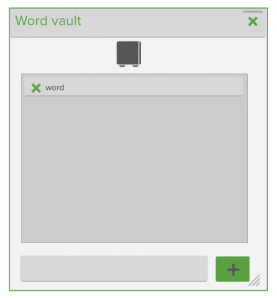 Textboxes will also be generated for you automatically if you copy and paste text directly into OKTOPUS from another application. 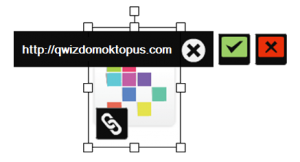 Copy text from another document or website, and when inside OKTOPUS, you can then right-click to show the Quick Tool Palette and use the “Paste” icon or use keyboard shortcuts to paste. Click or tap anywhere on the screen to bring the textbox out of edit mode. When the textbox is not in edit mode, the width and height of the box can be adjusted by dragging the handles in the direction you wish. A scrollbar will appear if the text does not fit. This may be useful if you need to place a lot of text in a small area. The scrollbar becomes active after clicking away from the textbox and the drag handles are no longer showing. To enter text editing mode double click / tap the textbox. Text font, color, and size can be customized. The text box controls will appear at the bottom of the screen, supporting different fonts and font sizes, bold, italics, underlining, strikethrough, superscript, subscript, text align, and locking. Highlight the text you want to format, and then choose the formatting you want to apply from the text controls. To exit text edit mode, click or tap away from the text box. 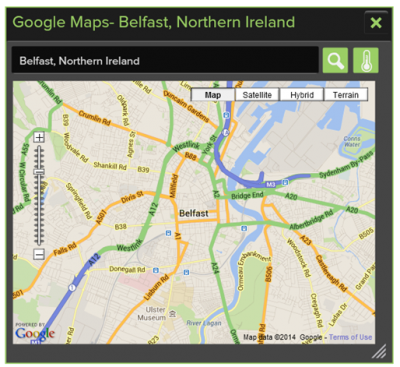 To move the location of the text box, click or tap and drag to the new location. To enter editing mode again, double click / tap. The textbox controls also includes a “Text Table” tool. This is similar to the maths table tool, but the text table tool allows you to hide/reveal text and does not generate graphs. 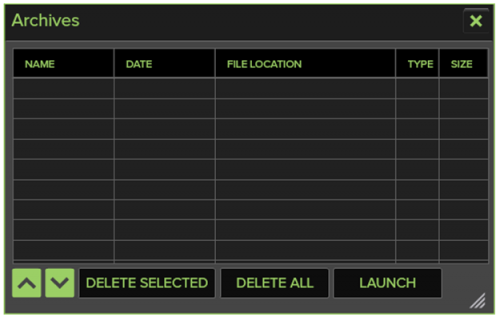 Easily add and remove rows, type in header / row labels, specify cell color, and hide or reveal cell contents. There are three different shapes to choose from – circles, quadrilaterals, and triangles. In addition, it is possible to draw a free shape, or use shape recognition. 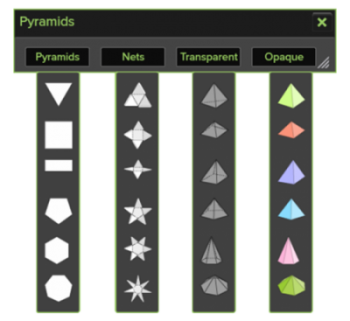 Select the shapes tool, and choose the type of shape required. The tool will then remember which shape was previously used, and will enable it by default. Thickness, alpha, and colour can be customised. Once a line type has been selected, the cursor will show as a crosshair. Click /press and drag to draw the shape. Below: Using shape recognition, a triangle is drawn. 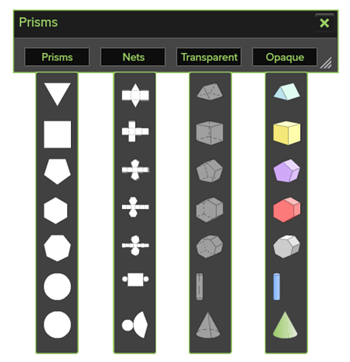 The highlighter tool can be used to annotate over OKTOPUS objects, backgrounds, and, when Glass Mode is active, even desktop applications. Thickness and color can be adjusted using the menu bar along the bottom when the highlighter tool is active. Below: Highlighting text over a web browser. 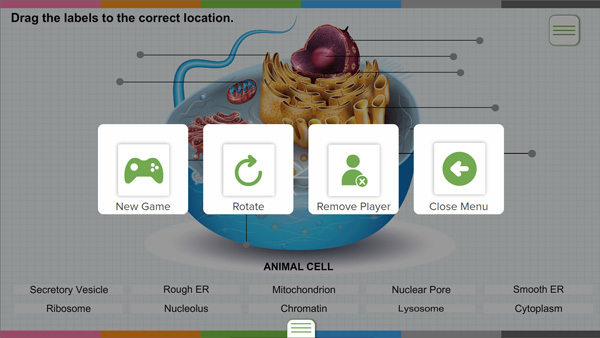 Oktopus comes with a built-in image gallery relating to various topic areas. To bring an image into the lesson, click or tap it. The image can be resized, and rotated. Hint: For more options such as cut, copy, paste, and bring forward / send backward, right-click on the image to show the Quick Tool Palette. To import existing media, click the import icon at the bottom left of the gallery. JPG, PNG, BMP, FLV, SWF, QWV and MP4 media formats are supported. In addition, images can be imported from an Internet Explorer, Chrome, or Firefox web browser. Enter Glass Mode, and drag the image over the Oktopus sidebar. A thumbnail of the image will appears with a plus icon. Release the image and it will appear as a Oktopus object. Note: The image type must be one of the supported file types. Select the image to show to hyperlink icon. Click the hyperlink icon and the hyperlink area will appear. Type in the required web address, and tap the green tick icon to confirm. The hyperlink has now been added. A new hyperlink icon will appear at the bottom left of the image. After selecting the image to show the hyperlink icons, click or tap this icon to launch the link in the default web browser. Use the hyperlink icon at the top left of the image to edit the link. Click the green tick to confirm the change. The x in the white background will clear the text. 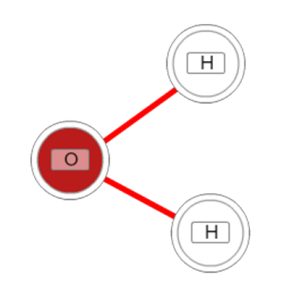 The x in the red background will remove the hyperlink. The window shade is an adjustable “blind” to hide on-screen items. Multiple window shades can be used to hide multiple parts of the screen. To adjust the shade, click or tap and drag the arrows on each side. 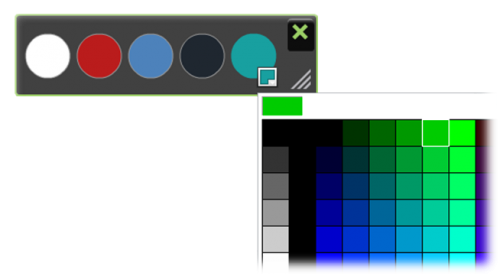 The colour of the shade can be adjusted using the colour palette. To close, click or tap the X. Enabling the flashlight will shroud the screen and will show a small visible area of the screen, similar to a flashlight being operated in a darkened room. Click or tap and drag the flashlight to move it around the screen. 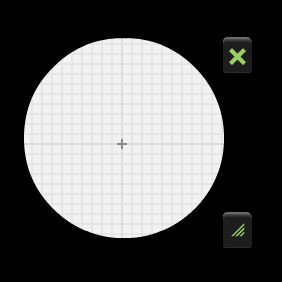 Adjust the size of the flashlight area by dragging the resize button, and tap the X to close it. The magnifying glass will magnify anything that appears on screen. Click or press and drag the magnifying glass to move it around the screen. Adjust the size of the magnified area by dragging the resize button, and tap the X to close it. The Undo button will undo any annotation. This can be repeated multiple times to undo further actions. The redo button will redo any annotation. This can be repeated multiple times to redo further actions. The Oktopus Keyboard will appear on-screen and can be used to type into an Oktopus textbox. In addition, when in Glass Mode, it can be used to type into any open application, such as an internet browser, office program, or other 3rd party programs. There are three clear screen options. A prompt will appear to ask if you are sure, unless you have turned off the prompt under the Preferences. This will clear all objects that are currently on the slide. This will only clear annotations such as pen and highlighter objects. Everything else on the screen will be left intact. 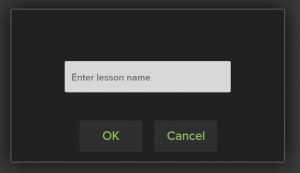 For this to become activated, you must first open an existing lesson.Once clicked, the slide will be reset to how it originally appeared when it was first opened. If you have made changes to your slide and then saved the lesson, it will reset to the last save point. Display a live video feed from a built-in webcam, or an external source such as a visualiser or USB webcam. Tap or click the video feed and the controls and surround will disappear for a clean display. Tap or click again and the controls will re-appear. 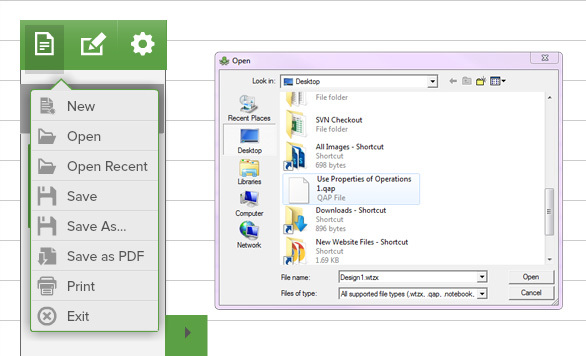 Use the screenshot capture tool to save a snapshot image of the entire screen or of a specific area. After an image has been taken, it will appear inside OKTOPUS. A copy of the image will also be stored in your user directory under OKTOPUS\Capture. The screen record tool will record a video of all screen interactions. Click the icon to start recording. Once recording has begun, the tool will flash red to indicate recording is in progress. To stop recording, click the icon again. A prompt to save the video will appear. A prompt will appear to browse for the audio file to import. WAV and MP3 file types are supported. Once the file has been imported, click or tap the play icon to play the audio. To pause, click or tap the pause icon. Move the slider to seek. The audio player can be closed by clicking the x, or by dragging to the trash can. The audio recording tool uses the primary recording device of the operating system by default. To change the recording device, change the setting in the operating system. There are two views: full and compact. To switch between them, use the minimise / maximise button at the top right of the tool. To start recording audio, click or tap the red “REC” button. 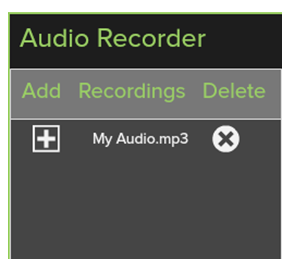 The button will change to indicate how long the audio has been recording for, and it can be taped at any time to pause, and subsequently resume recording. To save the audio recording, click or tap the green tick. An input box will appear to prompt for the name the recording should be given. Type the name and click or tap the green tick. The recording will now appear in the audio tool’s archive area. To load the audio, drag it onto a background, or click the add “+” icon. The archives window will automatically add links to previously recorded videos and images. Click on the launch button to open the media. Note: If the media has been deleted from the system, the link will need to be manually removed from the archive. Click or tap and drag numbers out from the number tool. Join numbers together by bringing them close to each other. Expand the number tool to see smaller and larger numbers. The symbols tool enables sums to be created when combined with the number tool. To start, drag out a number. Join numbers together if a longer starting number is required. Drag out a symbol and attach it to the number. Drag out another number and attach it to the symbol. Again, numbers can be attached together first as a separate process if longer numbers are required. 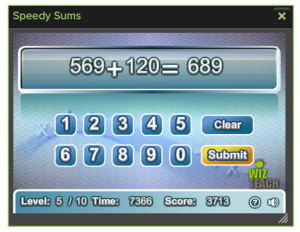 It is possible to change the sum by replacing symbols or numbers by dragging them on top. To delete a sum, drag it to the trash can. 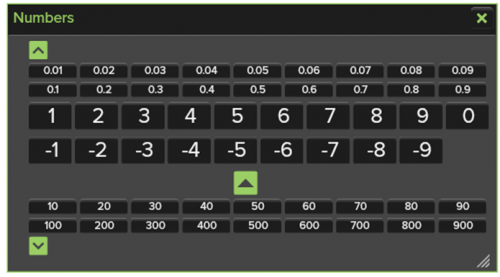 Generate a number grid by choosing a predefined option. Numbers can be removed from the grid, and dragged back into place. Alternatively, select ‘Create a Grid’ and type in required values to generate a custom grid. 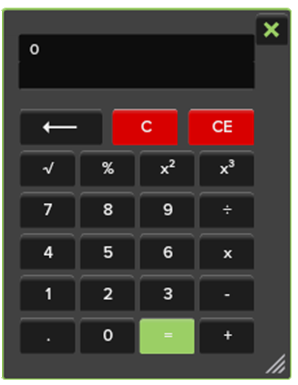 An on-screen calculator with basic functions. 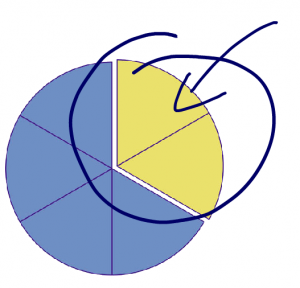 The fraction tool can be used to create sums, or to create pie charts and fraction bars. To start, drag out a fraction from the existing list or create a custom fraction. Drag out an operative from the symbols tool and attach it to the fraction. Drag out another fraction or a number, and attach it to the operative. Click or tap the ‘?’ to reveal the answer. The fraction will simplify until the simplest form has been reached. 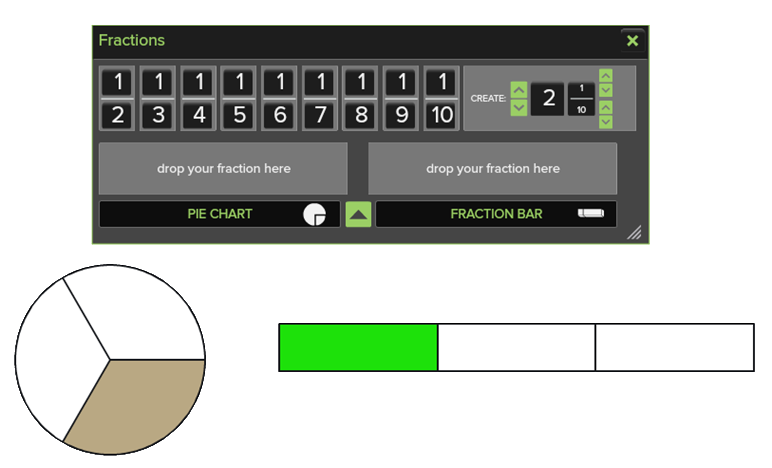 Click on the down arrow to expand the window to view fractions as a pie or fraction bar. Drag the fraction into the pie chart or fraction bar area. Use four rows of beads (representing units, tens, hundreds, and thousands), to count on the abacus. Drag the beads to the right to represent numbers. 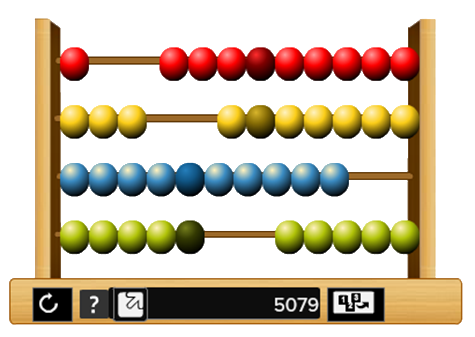 Drop a number from the number tools to show it on the abacus. Extract any number from the abacus by clicking the “123” icon. 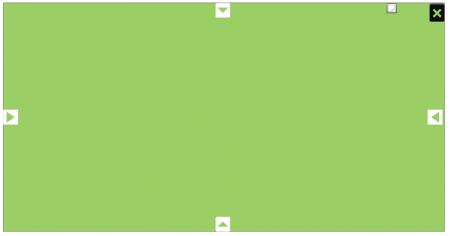 Use the ruler to make on-screen measurements or as a guide for straight lines between two points. The ruler can be rotated, resized, and moved to measure distances anywhere on-screen. 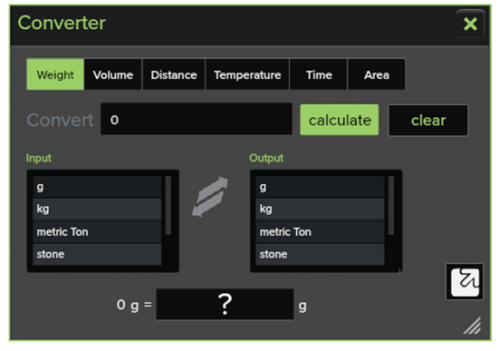 The Convertor tool can convert units of weight, volume, distance, temperature, time and area from one unit of measurement to another. For example: yards to metres, Celsius to Fahrenheit, and so forth. 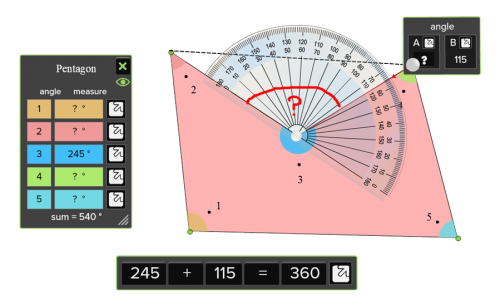 Click or tap on the converted measurement to drag out an interactive number. 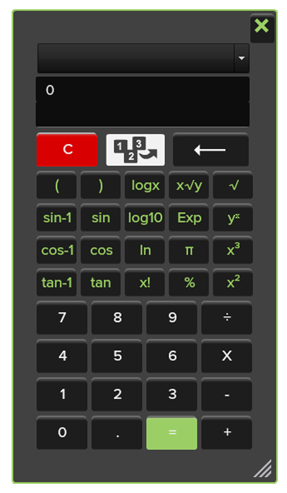 A calculator with scientific functions. Click or tap and drag to move the shape and the reflection. Add additional shapes to the grid by clicking or tapping the required shape at the top right. Only the co-ordinates of the selected shape will be shown. The axis of reflection can be changed by tapping or clicking on the required button. Note that it is not possible to enter custom values. There are four dropdown menus available. For example, the first row depicts a triangular pyramid. 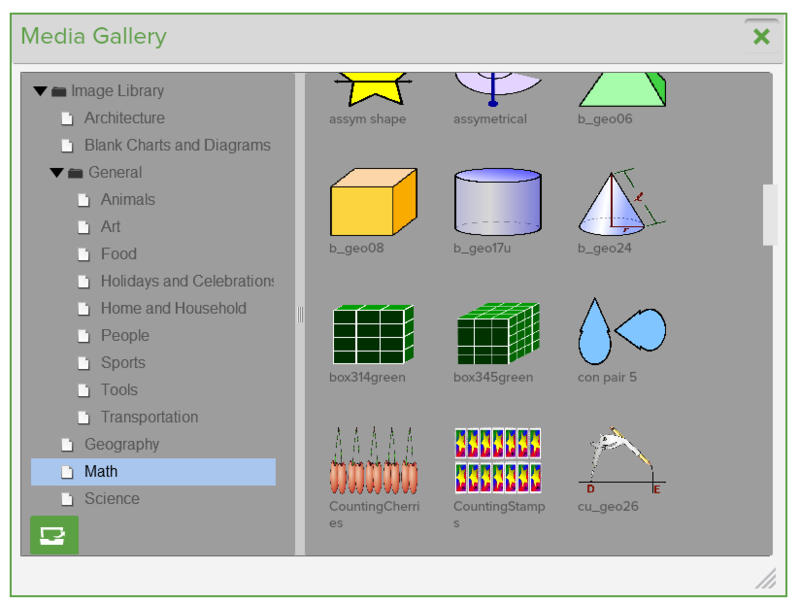 The base shape, net, transparent 3D, and opaque 3D options can be opened and viewed. Select the “+” button to add tally marks. To show the number of tally marks, click or tap the “?” icon. Below, 7 tally marks have been added. 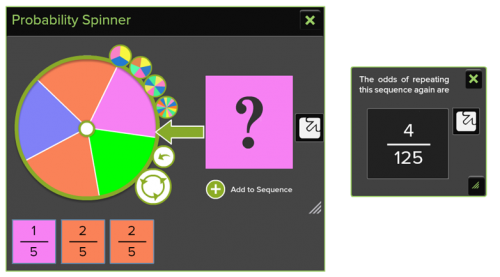 Use the spinner to determine the probability of selecting a colour or sequence of colours on the wheel. 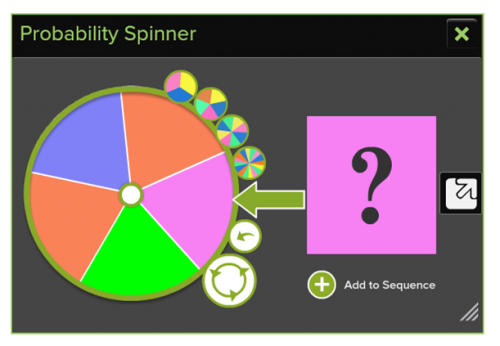 To start, click or tap one of the 5 spinners (from 3, 5, 8, or 16 segments). Spin the wheel by clicking or tapping the spin icon. Values are hidden by default. Click the “?” to show them. Click or tap “Add to Sequence” to add the current fraction to the sequence. 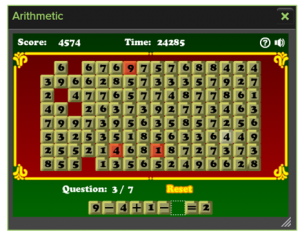 An additional window will pop up and will calculate the odds of the same sequence repeating again. 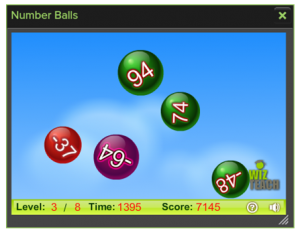 Calculations will appear at the bottom of the game screen, and will become progressively more difficult with every question. Click or tap the numbers in the grid to fill in the missing numbers in the calculation. Ca lculate the answer as quickly as possible to receive maximum points. 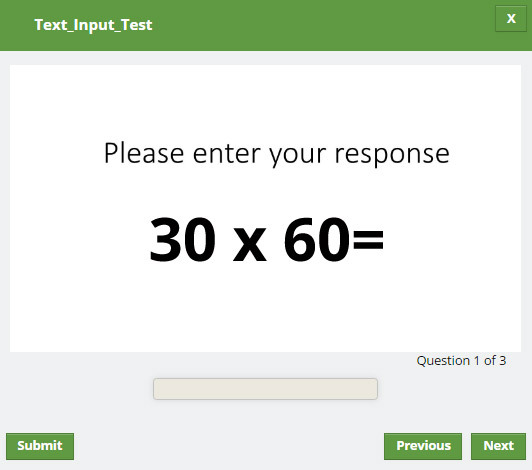 Click or tap the numbers to form an answer, or use a keyboard to type it in. 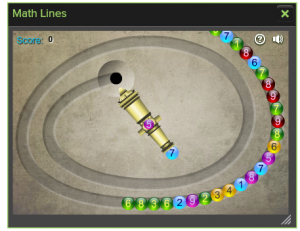 Aim the cannon and fire to destroy the balls by forming pairs that add up to 10. Hint: Use one ball to destroy a group of same numbered balls. Click or tap the coloured balls in ascending order to make them pop. Work quickly in order to receive maximum points. U se the see-saws displayed to work out the heaviest item. As the cards are displayed face-up, look out for the bomb(s). When the cards turn face-down, click or tap a card to turn it over. Don’t click on the bombs! 1) The numbers in each row, column, or diagonal must not be repeated. 2) The numbers in each 3×3 square (surrounded by thicker borders) must not repeat. 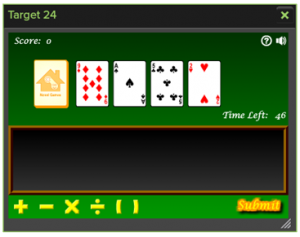 Arrange the cards and arithmetic signs into a formula that yields 24. Ace is 1, Jack is 11, Queen is 12, and King is 13. 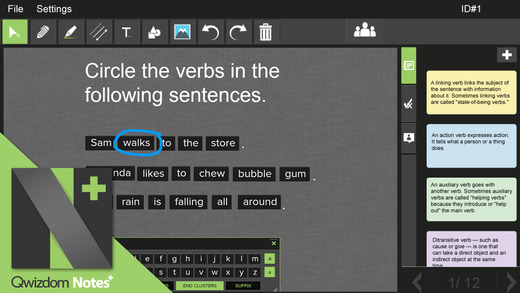 Create text using letters, prefixes, middle clusters, end clusters, and suffixes. 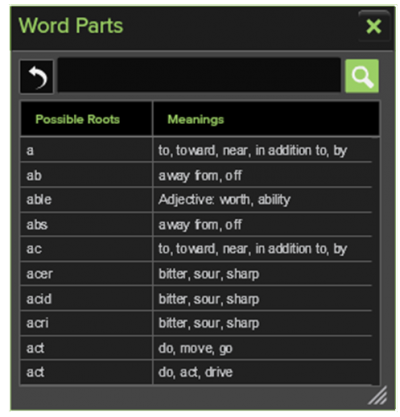 Type in a word and the origins of that word, its constituent parts, and meanings will be displayed. 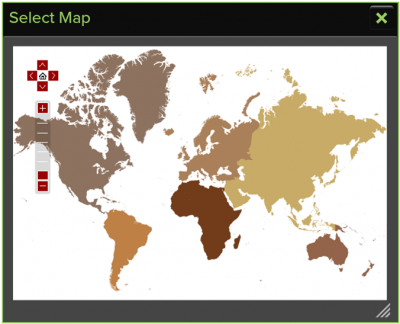 Use the Select Map tool to drill down to Continent and Country level. Click or tap a continent and then country to zoom in. 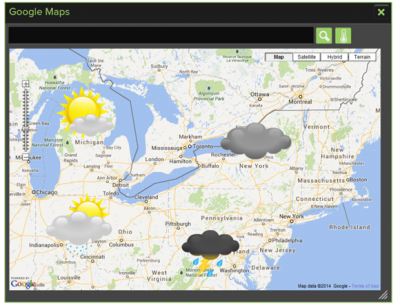 Create weather maps by dragging the symbols from the weather symbol tool onto any background or object. T he thermometer compares temperatures in Fahrenheit and Celsius/Centigrade. 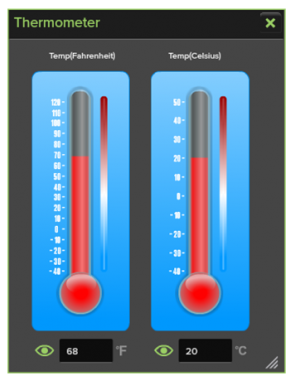 Type the temperature into either the Fahrenheit or Celsius measurement box at the bottom of the corresponding thermometer. The color bar on the right of the thermometer will indicate the temperature relative to the freezing point of water. The ‘eye’ icon will reveal / hide the temperature. Battery, wire, bulb, buzzer, motor, ammeter, voltmeter, resistor, variable resistor, fuse, transistor, diode, and on/off switches. Drag out a symbol and create a diagram as required. Switch between symbols using the arrow symbol on the right hand side. Hint: Use the text tool to add labels to the circuit, such as battery voltage or resistance. Other annotation tools may also be useful to help create more detailed circuit diagrams. 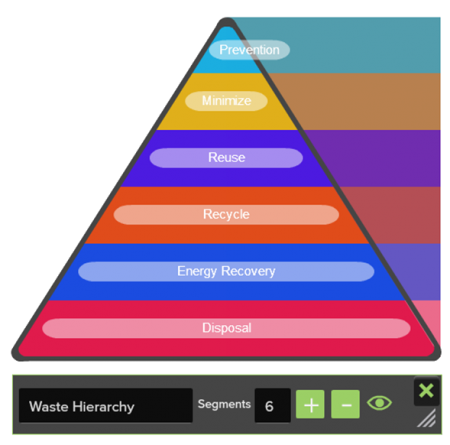 A hierarchial pyramid can be created with up to 10 segments. It is possible to customize the name, color, and text color of each segment. The text area will expand to allow a larger amount of text to be shown. Use the + and – buttons to add or delete segments. Use the eye button to show / hide the segment information. Once the atoms have been bonded, they will move as one. 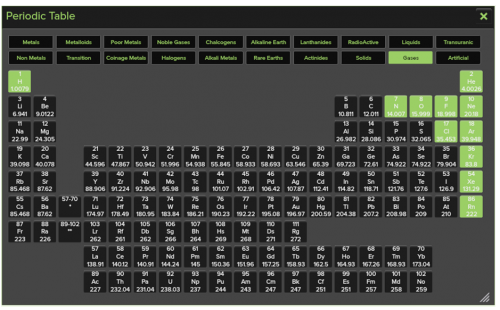 Click a bond to break it and move the atom independently again. From the Settings menu, select “Start Presentation”. After a few moments, the presentation setup dialogue window will appear. From within this window, set up the presentation options as desired. For example, choose the participant list type, and where to save results. Other remaining options can be set up as preferred. Select the “Device Settings” tab. Enable local collaboration by ticking the “Enable local network communication” checkbox. 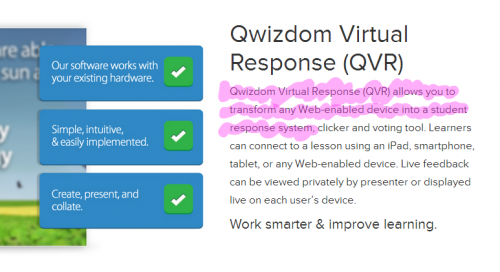 If other solutions are used, such as QVR (Qwizdom Virtual Remote), tick the “Enable internet-based communication” checkbox. If a USB device for use with the RF remotes is detected, it will be automatically checked. To begin polling, click or tap the icon relating to the question type you wish to ask. Some question types have options to choose from. 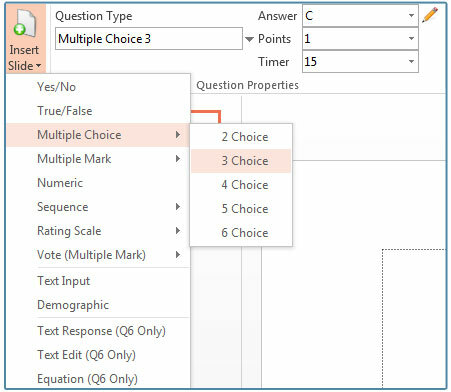 For example, after choosing “Multiple Choice”, select how many choices should appear on the student’s device. The feedback indicator will appear once the presentation has begun. Drag it to a preferred on-screen location. The percentage of participants who have responded. Click to change to a numeric value. Click this to repose the question to the participants. 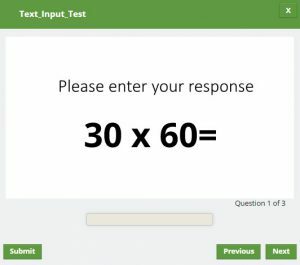 A random participant number appears on-screen. Names will appear if a participant list is active. A graph of the results will appear on-screen. Choose which participants are able to collaborate and send annotations to the presenter and other participants. When connecting a device through a web browser, such as a Chromebook, for a collaborative/polling session, click this link to enlarge the session’s web address. For additional options, right-click on the feedback indicator to see options such as presentation settings, view, and transparency. 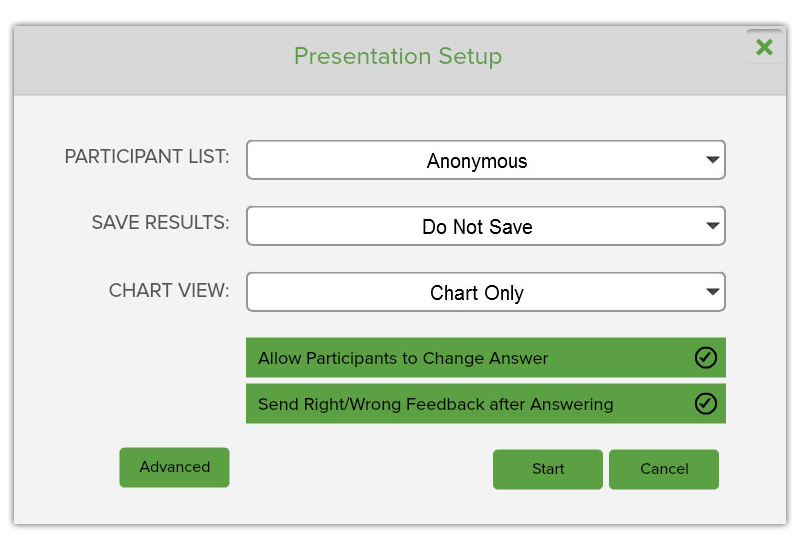 The presenter has complete control over which participants have the ability to send their annotations back to the presenter – which in turn sends it to all other participants. Click or tap the “Collaboration” icon on the feedback response indicator. 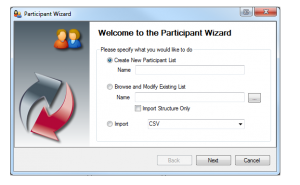 A new window will appear where individual participants can be selected or de-selected. Alternatively, choose the option to select or deselect all participants. If a participant list is being used, the participants’ names will be shown, otherwise their device ID will be displayed. After selecting the participant(s) to grant collaborative ability to, they will see a “share” icon at the top of their Qwizdom Notes+ screen. 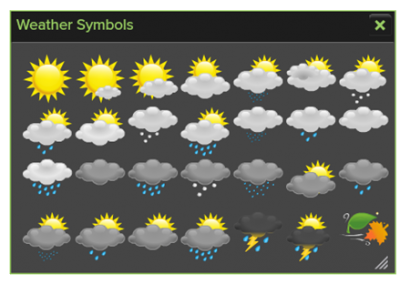 After annotating or adding text or other objects, tapping this icon will send their annotations and other objects to the presenter, which in turn will share with other participants. 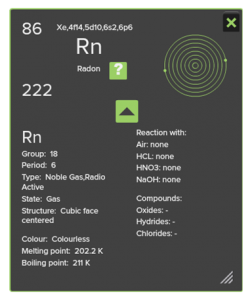 The Qwizdom Notes+ App is available from the Google Play Store, Apple App Store, and Windows Store. Once opened, the Notes+ app will look similar to the following image. Inthis mode, Notes+ can be used as a scratch pad or note taking application. The area on the right hand side contains tabs for making notes, viewing slides, and answering questions posed by the presenter. A list of available sessions will appear. Tap the session you wish to join. Note: If the session does not appear, network discovery may not be available. In this scenario, press File > Join Session. Enter the IP address supplied to you by the presenter. The port number should be left as 8081 when using the Notes+ app. Press the return/enter key or click the “Go” button beside the URL bar. Note: The browser version does not contain the same feature set as the app, such as saving and adding notes. The app or browser will now attempt to connect to the presenter’s live session. If the presentation was live before the app connects and the presenter has already annotated or navigated through slides, all previous actions are sent to the app to ensure that the participant receives the entire presentation thus far. Once the presenter or teacher has stopped the presentation, the slides will appear on the right hand side. At this point, the presentation – including any annotations and other objects – can be saved on the device for future review. 3. Type in a file name and tap OK. Please Note: Premium Features such as Blend and online reports may not be available depending on your geographical location or your OKTOPUS software provider. 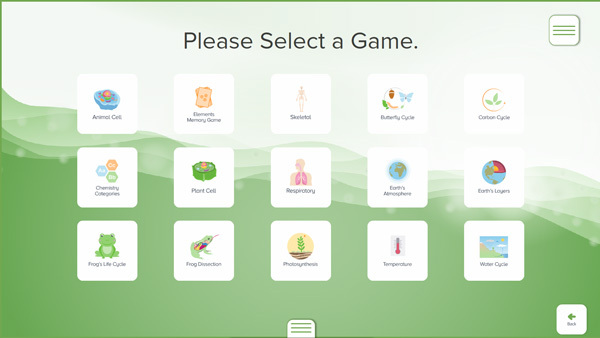 Choose from over 90 interactive teaching games designed for touch screens. Set up a single game for a small group or create up to four separate zones where students can play a game of their choice. Please note: Game Zones requires a touch screen to interact with most of the games and is only available for Windows – Mac Coming Soon. Or in Oktopus, click on the Game Zone Icon. (May need to open the launcher, by clicking on the Home Icon (Top-Right). 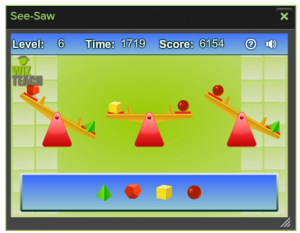 2 Games: Splits the Screen into two sections. 4 Games: Splits the screen into four sections. Perfect for table top mode. Select a Subject. Teaching Tools are designed for front of class instruction. 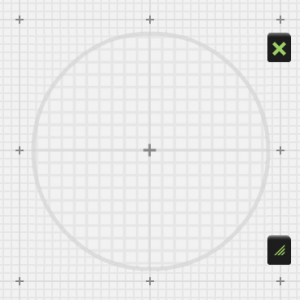 Navigate to game and select a tile to begin. 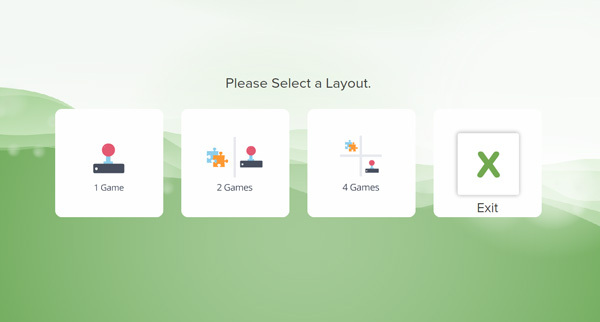 Click the ‘Menu’ button (top right) to select a New Game, Rotate Canvas, or Quit (Remove Player). To Exit Game Zones : Click on the Menu (bottom center) and select Exit > Continue. 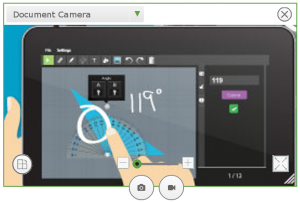 Blend is an upgrade to our Oktopus whiteboarding solution that allows you to engage, motivate, and assess every student, using any resource, both inside and outside the classroom. Click on the Settings menu and then Login to my account. Complete the form, including choice of state, district and school. Click ‘activate account’ link in verification email. Once your registration is complete, click on the Settings menu and select Log In To My Account. Enter your username (email address) and password. Check Save Credentials. In the Lessons tab, click on Online Classes. In the drop-down menu select Create Class. Enter a Class Name and select I want to manually create a class list. Enter student information into the fields. If you would like students to receive email notifications when new assignments are available, add their email address as their username. User ID and Username must be unique for each student in all classes. When creating the list, the system initially makes the password the same as the UserID. Set up individual passwords as desired. Passwords are immediately be encrypted. Click Menu and select Print. This generates a pdf of the class list including student credentials. All changes are saved instantly. Import Existing List: You can import a .csv (comma delimited) roster or use an existing Qwizdom Class (.qpl). It is recommended that your existing .csv class roster have the following columns: First Name, Last Name, Username and Password. If importing a .qpl file, you will need to update students’ usernames and passwords following import. Note: Adding device numbers is helpful when using classroom collaboration. To learn more about collaboration go here. Click on Menu in the top right corner to Print, Export or Delete classes. Click on the Settings menu and select Log in to My Account. If you do not already have an account you will need to register for an account. To register, click on Not Registered? and complete the online registration form. If you have a Blend or Premium Lessons license key, be sure to enter it when you register. Enter your username (email address) and password. Check Save Credentials. Go to the Lessons menu and select Search. Type a keyword into the search field. If you would like to refine your search, click on Advanced Search, select Grade, Subject and then click Go. Click Preview to quickly view all instruction and question slides. Answer slides are not available for preview. Click Download and the activity will be downloaded to your computer. Go to the File menu, select Open, browse to the newly downloaded activity (.qap) and then click Open. In the Lessons tab, click on the Performance icon. This will bring up the Activity Search page. Click on the Activity Title or Avg. Score to view class and student scores. 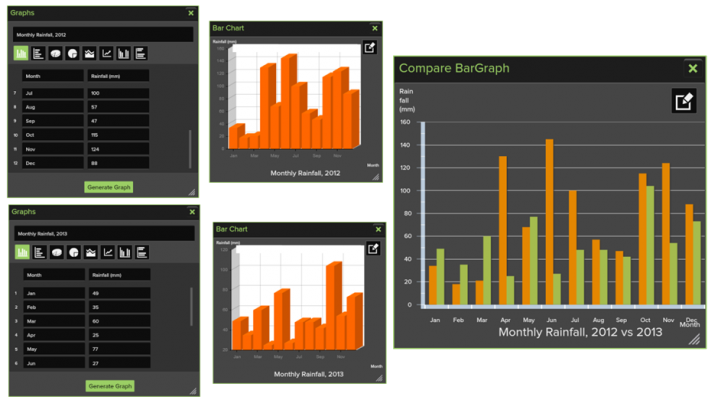 Click on Class Avg Score, or specific student, to see average score on each activity assigned. 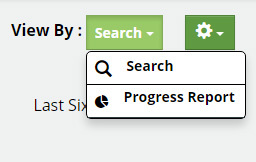 Use the links at the top of the page to navigate between reports. Results for an activity (or entire course) can also be exported as a .qrx file, compatible with Oktopus software, for even more reporting options. Click on the Settings menu and select Export.